Special sources: Marzluff, John & Tony Angell, 2005, In the Company of Crows and Ravens, Yale University Press. 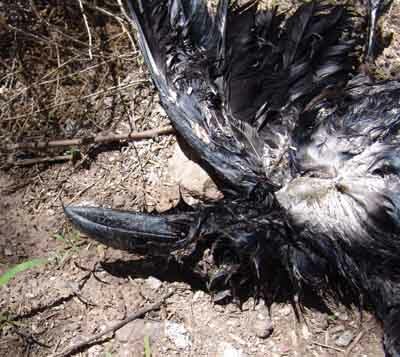 Members of the bird family Corvidae, which includes an array of medium-to-large-sized birds with rounded wings and tails, they have strong bills and feet, and nearly all species have "stiff, bristle-like feathers covering the nostrils." 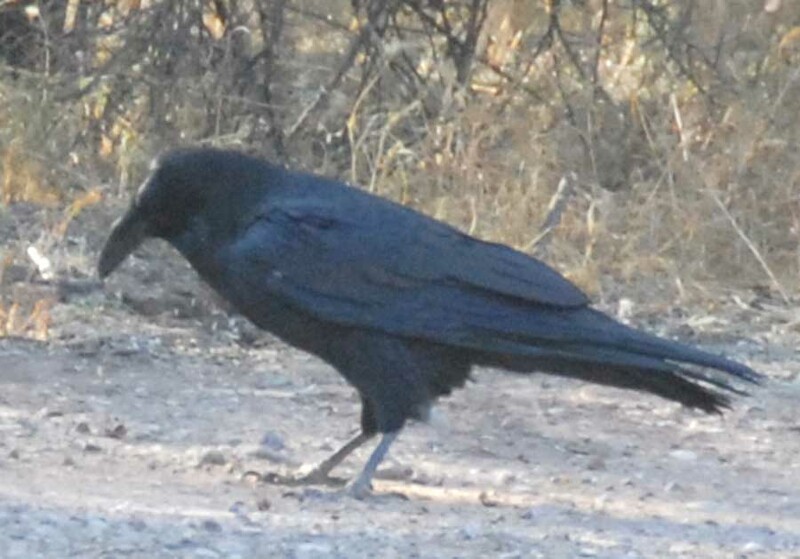 (Sibley 2001, p. 408) Corvids are bold, active, noisy, and aggressive, and have earned a more prominent place in human folkore than any other group of birds. Our Ravens are the largest of this family, reaching 26" from tip of bill to tip of tail (the size of a large Buteo Hawk). Ravens were also historically the most widespread of the corvids, found throughout North America and its Arctic, but they have fared less well than Crows in co-existing with humans, so now live mostly in the wilder, less inhabited parts of the continent. Crows and ravens are especially noted for their intelligence, competing on some tests as well as monkeys, and ravens in particular have demonstrated abilities to "show true insight when solving problems, without prior trial-and-error learning" (Ibid., p. 412).Their brain mass/body mass ratio is more like that of primates than those of most other birds. They are opportunists who will take advantage of any available food source, and like the Jays they store excess food, remembering numerous cache locations. 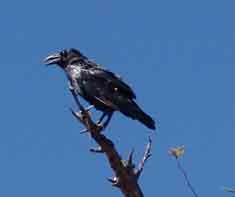 Although we see ravens frequently on most parts of our Saguaro Juniper lands, and while they congregate in very large numbers in the wintertime in places like the Pecan Orchards near Teran Wash along the San Pedro River, they are sufficiently wily that we are seldom able to get decent photographs of them -- they seem to fly away just when someone raises a camera, even at rather distant range. 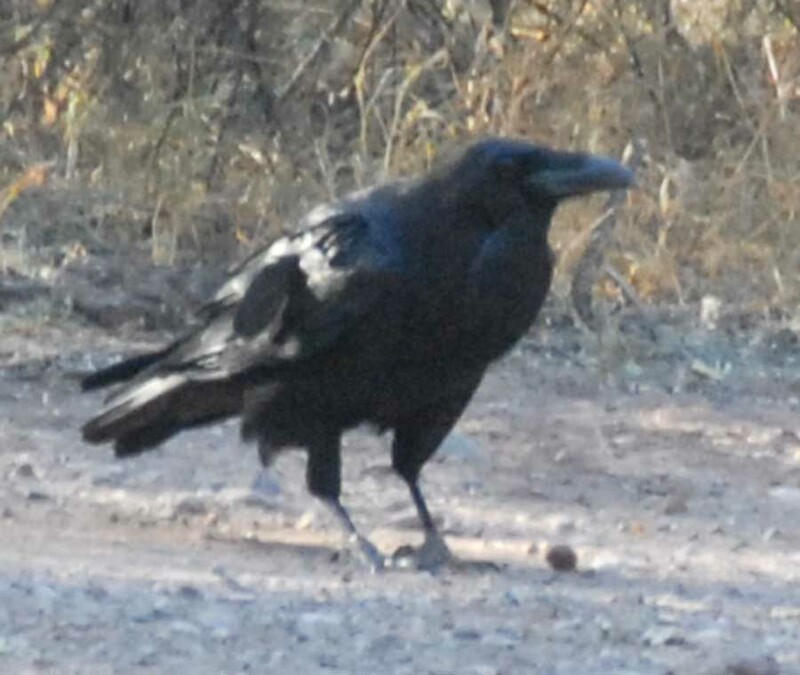 A disturbingly "humanoid wiliness" has been established for them by scientific observers of this bird, an actor who -- like a chimpanzee -- is able to grasp the principle of "mind reading", sensing that what another creature knows is not the same as what I know, and then modifying my own behavior in light of that knowledge. In other words, ravens can and do engage in active deception of others who are present in their situation. 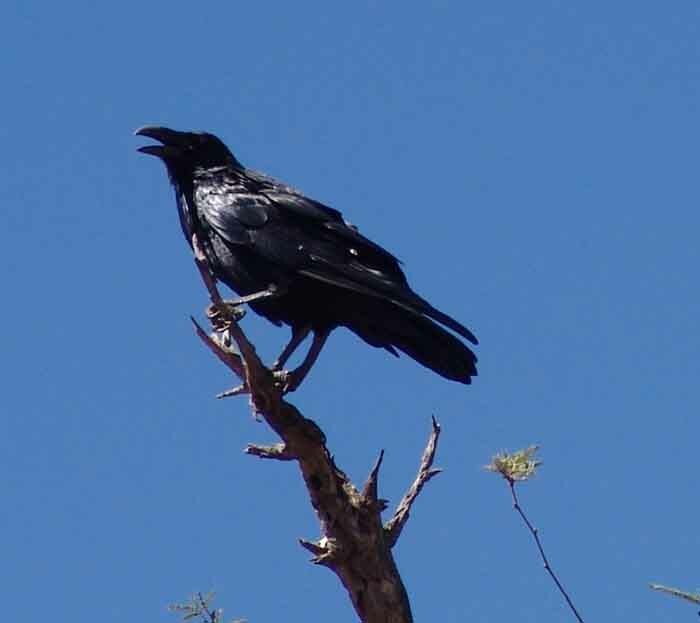 For example, a raven named Hugin, who showed great skill in finding bits of cheese hidden in film canisters, then prying open the lid to get the food, found his work frustrated by a more dominant bird, Munin, who would watch Hugin doing his work and then rush in to steal the reward. So Hugin, when observing Munin present in his situation, would go to an empty canister, pretend to eat, and then hurry to the correct canister while Munin was poking around at the empty one. 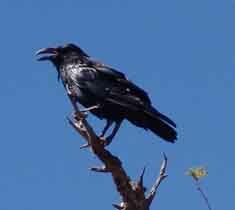 Both apes and ravens can grasp that other actors have perceptions, feelings, and plans, just as they do -- and then modify their actions accordingly. (For more details, see David Berreby, 2005, Us and them: Understanding your Tribal Mind, Little, Brown.) They can also do math. 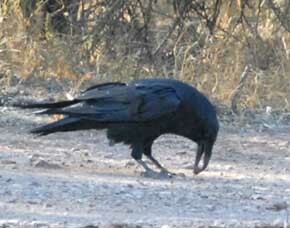 Ravens may prey at the nests of other birds, and are often harassed by smaller birds. 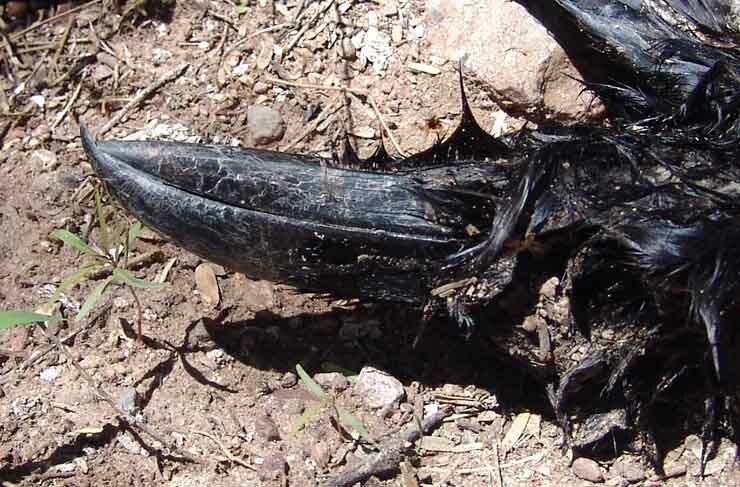 In a like manner groups of ravens may "mob" their main predator, the Great Horned Owl. They have a wide array of mutually understood calls (more than 80), ranging from loud, coarse warnings about approaching predators to softer, more musical notes used at close quarters between family members (and hence seldom heard by humans).